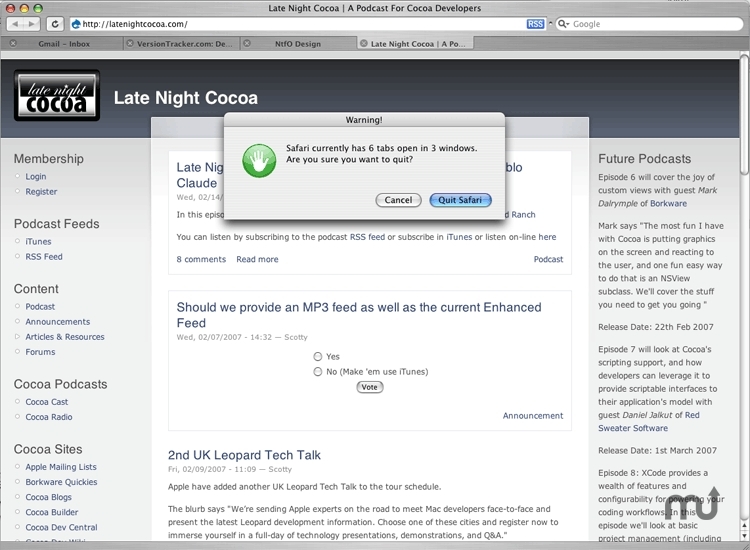 Safari plugin warns when closing multi-tab window. Is there a better alternative to TabStop? Is TabStop really the best app in Plugins category? Will TabStop work good on macOS 10.13.4? TabStop is a SIMBL plugin, available in several different languages, that displays a warning when you attempt to quit or close a window in Safari that contains multiple tabs. Very handy, if you're used to keeping dozens of tabs around and you're tired of accidentally Command-Q'ing instead of Command-W'ing. TabStop needs a rating. Be the first to rate this app and get the discussion started!